It is vital for people too understand the basics of how computers work as this will help people to be better placed when using a computer. Computer is composed of very many parts and having general knowledge on this parts and how they work, makes one to have an easier time in operating them. This information also aids in preventing wrong use or damage of the computer. Computer memory comes in different capacity. The function of the memory is to store data that you command computer to do. You can however delete the data when you think it is no longer useful. Depending on the memory of the computer, you can store as much data as you want. Memory of a computer is measured in bytes and various types of memory include RAM,ROM and virtual cache. CPU (Central Processing Unit) acts as the brain of the computer. This is a very important component in a computer. It controls the flow of the data as well as sorting it out. Without it, the flow of the data will not take place. This component is thus considered as the most important part in a computer. Processor chips with high speed are more efficient than the ones with low speed. This implies that the higher the speed, the higher the rate of processing data and information. This forms the basis of why some computers are slower than others. A computer must be fed with information and this is made possible by use of facilitating gadgets that make it happen. Without the input device, the other components of computer will not function optimally. Input devices can however be inbuilt or connected externally. Some of the input devices include keyboard, mouse, joy ticks, scanners, camera, microphones, and touch screens among many others. All these input devices play an important role by making it possible to feed the other gadgets with required information. Machines like laptops have most of input devices in-built in them whereas most pc depends on these gadgets to be attached to the computer. 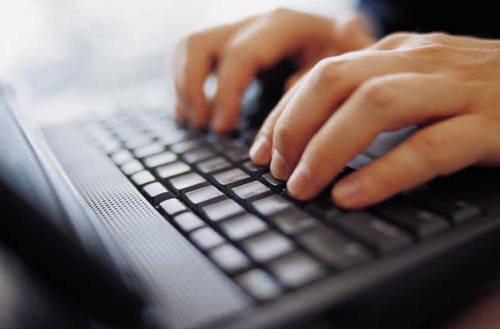 Output devices are meant to aid or enhance the ability of what the computer is doing. It is however possible for the other aforementioned gadgets to work well without the output device. To make work more effective, output devices comes in handy. These devices include screen and monitor. Speakers, microphone, disk drives are also part of the output devices. When you boot the computer, the operating system starts up and runs few programs to turn up the hardware devices which include keyboard, hard disk, motherboard etc. These specialized programs are written in machine language code or native code which is understood by computer. The whole booting process is controlled by basic input – output system (BIOS). BIOS, is nothing but a flash memory embedded on the motherboard by the vendor. If something gets wrong and you are not able to boot the PC, you can press ‘Del’ when system boots up, and enter into the BIOS interface. Here, you can configure various hardware devices and select the boot device. Operating system like Windows XP, Windows 7, Linux, Mac OS works as an interface between you and your PC. It takes the input from you, interacts with computer’s hardware and shows the outback to you on the screen. For e.g. : if you want to print a document, you will fire a print command from the application. The application will pass the command to the operating system. The operating system will check if the hardware device i.e. printer is attached to the computer. If yes, it will pass the signal to wake up and wait for the input command. When you press print button, operating system will send the information about that document to the printer which in turn will print it. Apart from just acting as interface between the user and hardware device, it also performs several other functions. It is responsible for processor management. It assigns the program to the CPU on their priority basis. It uses an algorithm like round robin to assign CPU cycles to various programs. It also facilitates storage management. It assists the user while copying, moving, editing, creating and reading new files. It performs disk defragmentation. 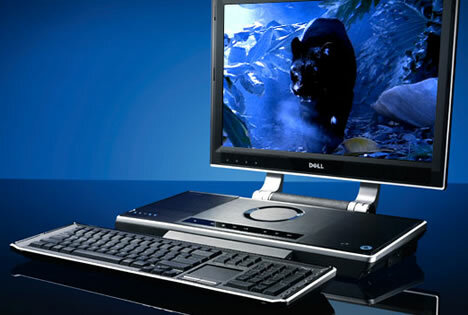 It interacts with computer peripherals like mouse, keyboard, printer and performs device management. When you click mouse to perform a action, the operating system takes the input and outputs the desired results on the monitor. It also takes care of internal memory management. When the computer is running on low memory, it cautions the user to close unnecessary programs and also creates virtual memory on hard disk. Virtual memory does not perform that good as RAM but can be used as an effective tool to counter low memory issues. When all the above mentioned gadgets are put together, they make the computer to function at its optimal performance. It is thus important to understand the basics of different parts of the computer in order to appreciate how they work.